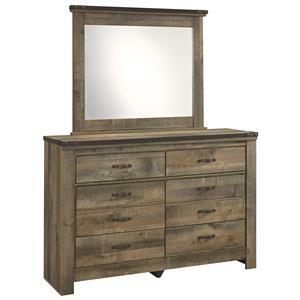 Enjoy the beautiful two-tone style of this rustic dresser and mirror combination. Seven spacious drawers are finished in a rich cinnamon with contrasting black round knobs. 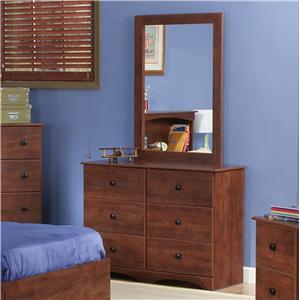 A variety of drawer sizes makes it easy to store and organize everything from bulky sweaters to intimate items. 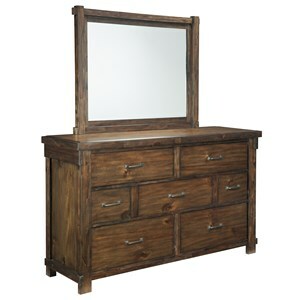 Sturdy hardwood surface, frame, and tapered feet are finished in a deep black to complete the unique two-tone look of this delightfully casual dresser and mirror set. 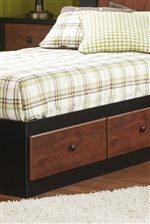 Pair with the matching black and cherry chest for additional bedroom storage. 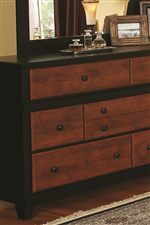 The 49000 Series Two-Tone Black & Cinnamon 7-Drawer Dresser & Landscape Mirror Set by Perdue at Sam Levitz Furniture in the Tucson, Oro Valley, Marana, Vail, and Green Valley, AZ area. Product availability may vary. Contact us for the most current availability on this product. 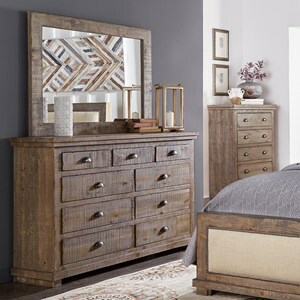 Beautifully crafted with a casual, rustic style, this collection will transform your bedroom into a country retreat. 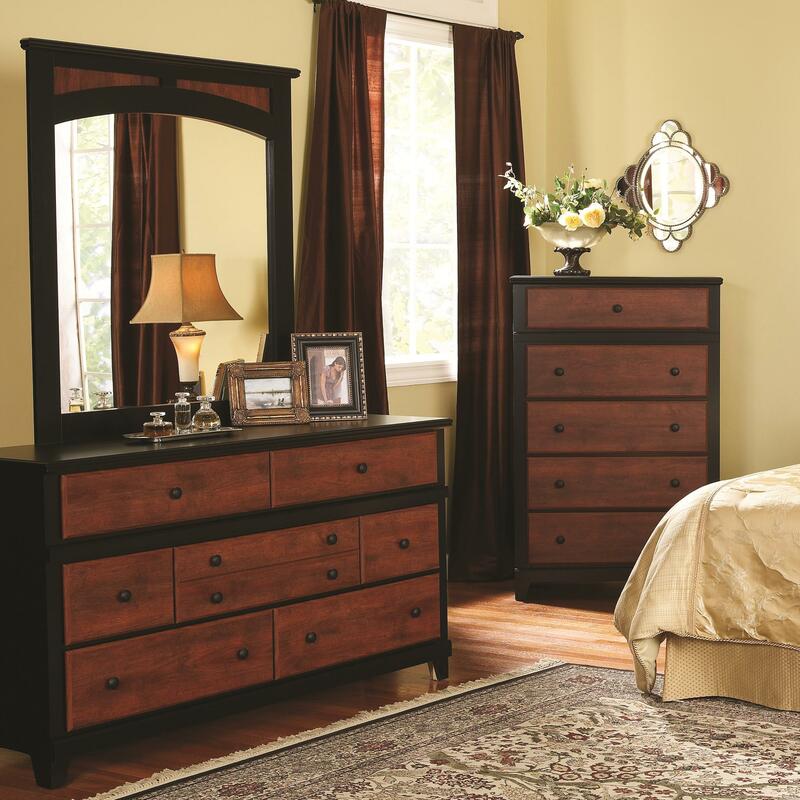 Offering two different bed styles, and a wide range of storage accent pieces, this collection can easily furnish both a master and youth bedroom. 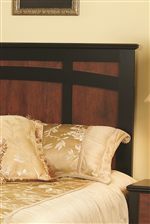 Each piece is constructed with a sturdy frame and finished in a deep black and warm cinnamon for a unique two-tone style. Simple black round knobs adorn each sized drawer for a charming look. Finished with moulded edging and tapered feet, this bedroom collection will instantly welcome you into its authentic, wholesome ambiance. 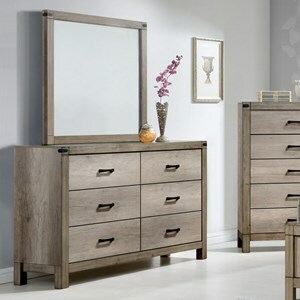 The 49000 Series collection is a great option if you are looking for Casual furniture in the Tucson, Oro Valley, Marana, Vail, and Green Valley, AZ area. 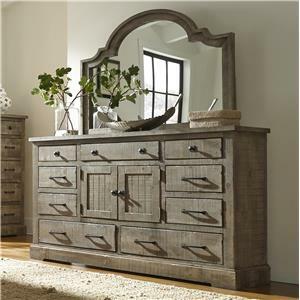 Browse other items in the 49000 Series collection from Sam Levitz Furniture in the Tucson, Oro Valley, Marana, Vail, and Green Valley, AZ area.